Happy National Day of Love, folks! In honor of Valentines Day, I’m heading back to the roots of New Years intent of self-love. I believe it’s important to at least take one day out of the week to treat yourself and spend some quality time relaxing with the most important person in your life, YOU. My favorite act of self-love is a detox bath. I’ve made it a routine in my weekly schedule, and it was even recommended by my naturopathic doctor. Below are some products I use consistently, free from chemicals and twisted ingredients. 1/ Dry Skin Brush: One of my favorite products, this is used before your shower or bath. It has a plethora of benefits, mainly becoming popular for removing cellulite, as well as to stimulate circulation, tone muscles, and eliminate clogged pores. (It also preps my legs for a cleaner shave.) Always start at your feet, and use long strokes up the body towards the heart. 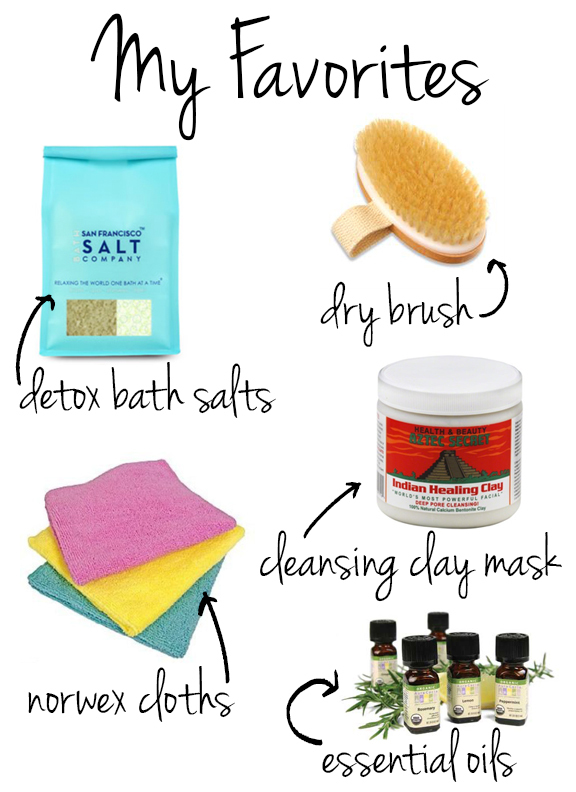 Detox Bath Soak: Since the skin is the largest organ used for detoxing the body, this soak does it all in one sitting. This San Francisco based company has many different blends of salts, catering to whatever your needs are. Aztec Healing Clay: I have used almost every face wash on the market and this has battled my skin problems better than anything I have ever used. When blended with apple cider vinegar and brushed on the skin, it hardens within 15 minutes to create smaller pores, less blackheads, and overall more appealing skin tone. Use right before you get in your detox bath, to get double the internal cleansing benefits. Essential Oils: These can be used for just about anything, but I love adding them to my bath water. My favorites are lavender for relaxing at night, and a sandalwood/vetiver mixture for morning time. Treat yourself, Heal Yourself, and Love Yourself. Try Mary’s Self-Love Meditation today as well. This is one of my favorites. What natural products do you use in your daily beauty routines? Also, what are some essential oils that are must-haves around the home? I’m looking to expand my collection. Thanks!